The ‘Tiger Knocking Down School‘ does not really have an exact origin. Like Gyokko Ryu, it is thought to have originated from China, being brought to Japan by a monk called Chan Busho, but when, or even if this is true, remains a mystery. This makes it hard to really tell what influenced it from a Chinese kung fu perspective. On one hand, the linear fashion of Koto Ryu would indicate something of a Xing yi origin, although Xing yi itself is steeped in legend and the exact origin of that art are also unknown. Maybe that’s just a coincidence! Certainly though, Xing yi has an older claim, with its originator supposedly being Yue Fei, the famous Song Dynasty general (10th-13th century). The first Soke of the Koto Ryu; Sakagami Taro Kunishige, is dated as being 16th century. It could also have easily originated from a monk, Xing yi being a popular Taoist martial system. The second Soke of Koto Ryu was meant to be Bando Kotaro Minamoto Masahide, but unfortunately he was killed in battle around 1542. Therefore the sokeship past to Sougyoku Kan Ritsushi, who was the 17th generation Soke of Gyokko Ryu. So since then, the Koto Ryu and Gyokko Ryu, follow the same lineage. Traditionally only the next soke was taught the Koto Ryu, whereas any student could have been taught the Gyokko Ryu. However, there are instances of many ninja knowing both, so it would appear that this was not a steadfast rule. Koto Ryu is a hard natured discipline, so it really requires conditioning and tough training. This used to be done by punching and kicking stones and gravel. Supposedly this would empower the practitioner to puncture a tree with 5 holes from a ‘shako ken’ – claw strike!!! 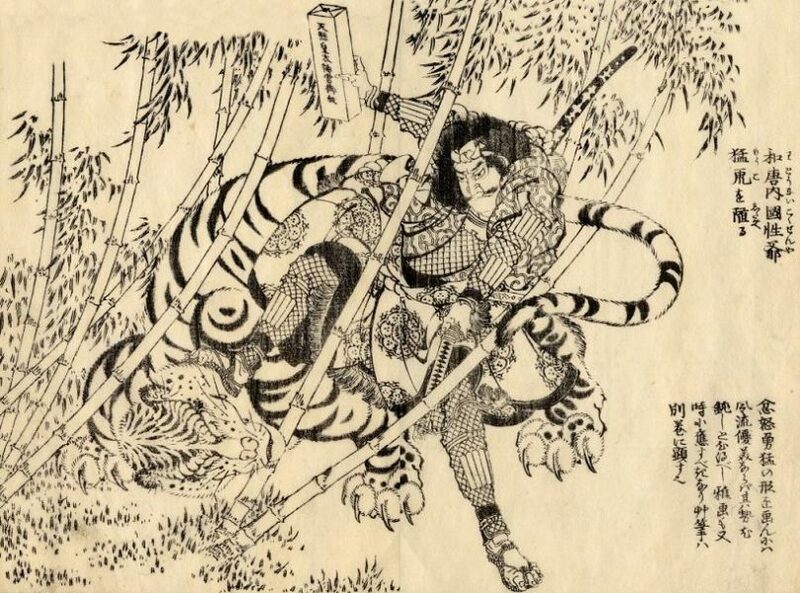 The name of the school, knocking a tiger down, implies that the techniques are for hitting a larger, more powerful opponent.The techniques are rough in their execution and the attitude is a ‘do or die, no mercy’ type of mentality. It is a very brutal system. Koto Ryu is known for its koppojutsu, (bone breaking/attacking) , shurikenjutsu, and kenjutsu. Unlike the Gyokko Ryu which plays more with distances, Koto Ryu is very close in its execution and is far more offensive. The angling of the attacks can often be at 90 degrees to the opponent, so the timing and rhythm of the practitioner must be excellent in order to be successful. However, the starting distances in the densho for the Koto Ryu are often quite far apart, so this would indicate that it was designed more for the battlefield, rather than confined spaces. So technically the Gyokko Ryu (and therefore Gikan Ryu) and Koto Ryu complement each other really well, and they form the basis of self defense in the Togakure Ryu too. However, you should not forget that the Koto Ryu is also a system in itself, independent from the Gyokko Ryu, with unique ways of moving. 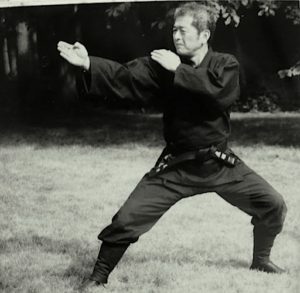 This school is taught inside the “Bujinkan”, “Genbukan”, and “Jinenkan”, even though Soke Hatsumi is actually the only registered Soke of the school. This entry was posted in Ninjutsu Schools. Bookmark the permalink.